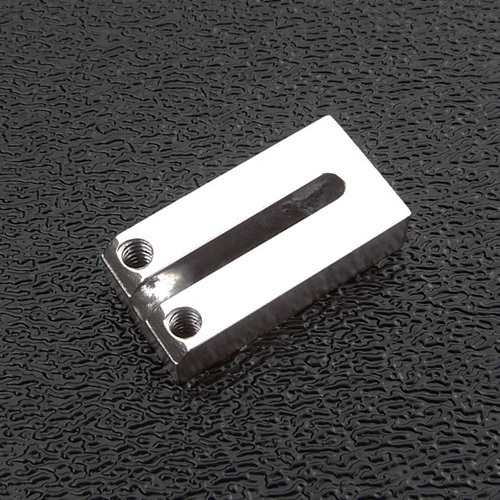 Fender® individual polished chrome LEFT handed bridge section (saddle) for the American Deluxe Strat. These are offset intonation screw saddles. This is a bare bridge / individual saddle, does not include height adjustment set screws, intonation screw or intonation spring. Individual saddle width: 0.409" (10.39mm). For use with 2-1/6" E to E string spacing bridges.